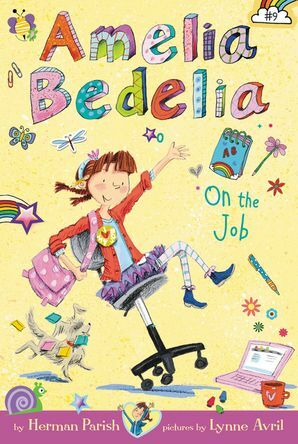 In the ninth chapter book in the New York Times–bestselling series, Amelia Bedelia and her friends at school explore different jobs and careers and think about what they want to be when they grow up! Amelia Bedelia is especially curious about her own father’s line of work. If he spends the day pitching to a client, does that mean he plays a lot of baseball? The Amelia Bedelia chapter books star Amelia Bedelia as a young girl and feature funny family and friendship stories just right for fans of Judy Moody and Ivy + Bean. The Amelia Bedelia books have sold more than 35 million copies since we first met the iconic character in 1963!